Very incisive analysis, Peter, thank you. Hi Peter – this is a truly insightful post on a most inspring speech. I had heard that this young girl was speaking at the UN but value so much your analysis. The clear step by step way that you have picked out the rhetorical terms and giving clear examples is a real value to anyone who is learning about public speaking or speech writing, this ought to be taught in classrooms across the nations. Thank you for your content. Hi Peter. It’s my absolute pleasure and thanks for your kind and supportive comments. 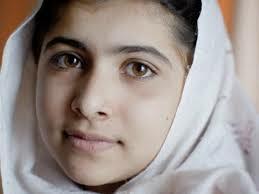 Malala’s speech was such an inspirational, and such a brave event. A good friend of mine is convinced that we’re witnessing the emergence of one of the 21st century’s leading figures, and based on this speech I think he’s very likely correct! Thanks for sharing. It’s very helpful that you show lots of short examples from the transcript, to pinpoint the phrases and techniques you’re discussing. In turn, you might enjoy this analysis of a talk about body language. I’d be delighted to hear any thoughts you might have on it, and links to other public-speaking blogs are always welcome on my posts.